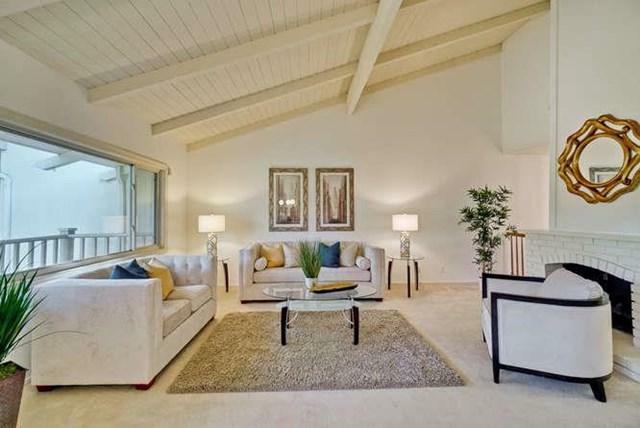 Own this coveted Saratoga Oaks TH with 3 bedrms/ 2.5 Baths including an additional office w/cocktail bar & sink. 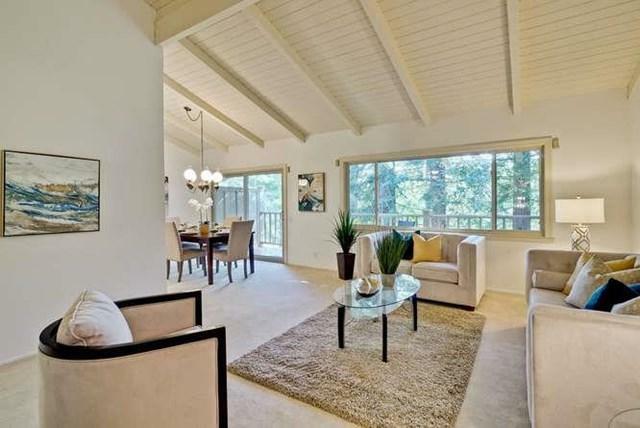 Spacious and delighted hm located in a tranquil & serene environment w/redwood trees. Only within minutes of walking distance to the beautiful Downtown Saratoga for Coffee, Restaurants & Shops. Extra wide walkway @ front entrance. Stairs to the private cozy patio. 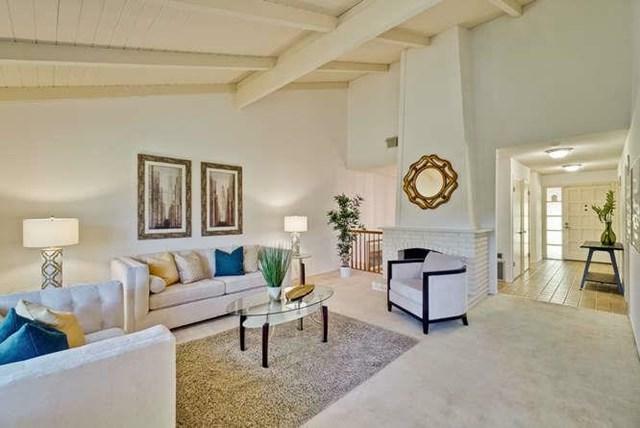 High ceilings in spacious living rm w/gas starter fireplace. Formal dining leads to balcony. Corian counter tops in kitchen w/breakfast nook. Spacious master bedrm wi/ balcony, enjoy your morning coffee or romantic nights. One bedrm leads to the cozy enclosed patio. Indoor laundry rm. New interior wall paint, Newer furnace. Detached enclosed garage w/many storage cabinets. Enjoy 2 pools, spa, club house and tennis within your community. Award winning Saratoga Schools. Conveniently located to Hwy 85, 280 & Apple Campus. 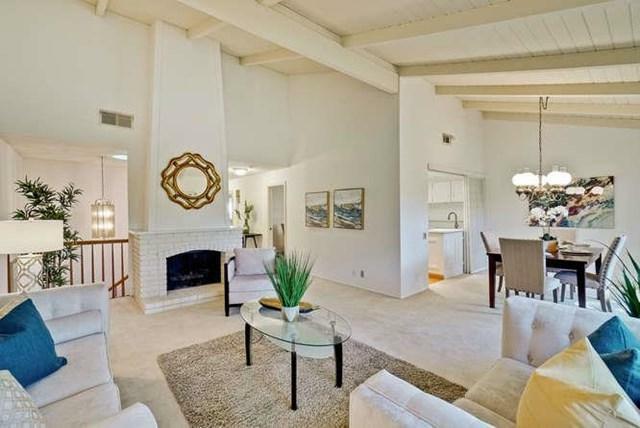 Bring your own imagination/ ideas and make this home your "Home Sweet Home"! Sold by Katy Lee of Klee Real Estate & Property Ma.